This stylish non-slip- water-resistant fitted mat features raised edging that protects against dirt- moisture and wear. Washable. Problem with your vehicle? Looking to find parts in stock or get your parts ordered? Our "well-trained" parts staff is here to provide you with the highest levels of customer satisfaction. 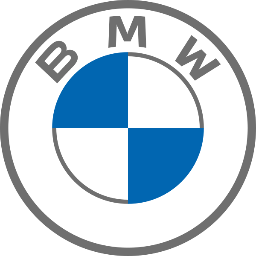 The parts department at BMW Parts Wholesale has a large inventory of factory parts in stock to always accommodate you and your vehicle. We take pride in the fact that we're always able to offer our customers the exact part they need to keep their vehicle running smoothly. Using original factory parts is the best way to ensure you are getting what your car needs. The BMW Parts Wholesale car parts department is filled with a knowledgeable staff who are here to help you determine the exact and proper part that your vehicle needs. Providing you with the part you need at a quality price is what we specialize in. And for any part that may need to be special ordered, we can assure you that it will be delivered in a timely manner. Let BMW Parts Wholesale parts department get you what you require today! Enjoy the ultimate drive with BMW interior vehicle accessories. From functional floor mats to race-inspired design motifs, your BMW will reflect your personality in stylish detail. Make a statement on the road. Enhancing your vehicle with Original BMW light alloy wheels helps smooth out your ride and leaves a sleek impression. Or focus on protection with vehicle covers that defend your exterior from weather, nicks and scratches. Genuine BMW design and cutting edge technology seamlessly come together to keep you connected, entertained and secure. From Black Kidney Grilles to mirror caps, get everything you need to ensure your BMW makes a personal statement wherever you go.